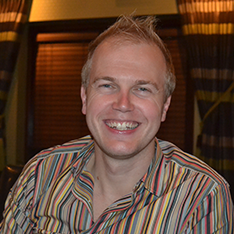 After our first look at SharePoint 2010 and the uses of it for education I wanted to talk about the metadata structure that is available for schools to tag and share documents both within their school and other school as well. 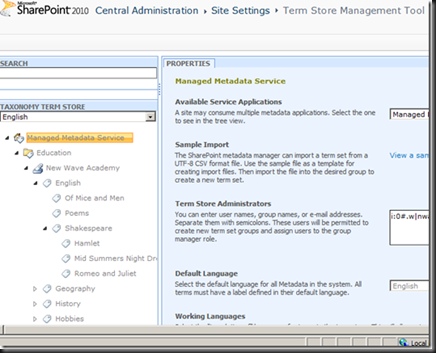 SharePoint 2010 has a tag structure that allows you to tag a single document under a who set of other tags. For example. 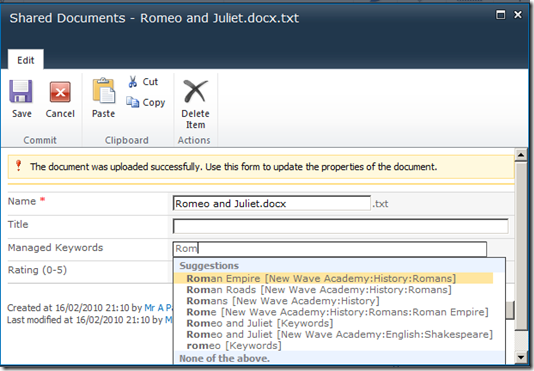 In your tree view you would have English – Shakespeare – Romeo and Juliet, when you tag the document with Romeo and Juliet it is also tagged with everything else in its hierarchy (English and Shakespeare) you can filter all your documents to show what is under Shakespeare like Romeo and Juliet and any documents under hamlet. The Tag structure is kept within the Metadata structure permission can be given to allow a trained user to add more tags. The screenshot below is of the metadata structure known as the Taxonomy. You can see how Romeo and Juliet is under Shakespeare etc. When adding a new document now into a document library we add a tag to the document (Managed Keywords in the image below). 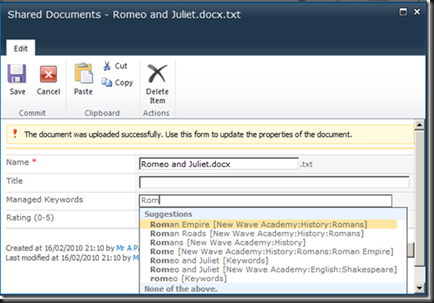 As we start typing Rom you can see that SharePoint 2010 will give you a list of possible tags the document could be, for example Rome, Roman Roads and Romeo and Juliet. 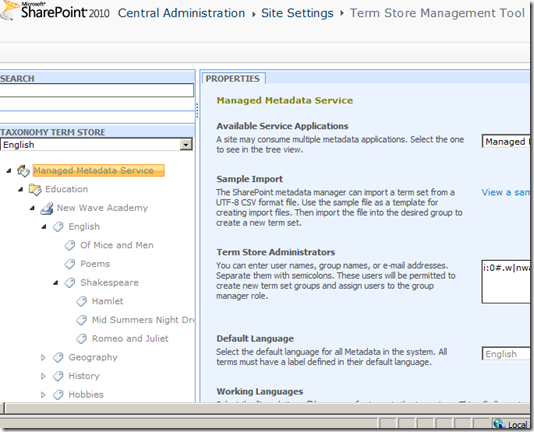 One of the webparts that is out of the box with SharePoint 2010 is the Tag Cloud that allows users to see all the tags from the whole site. The larger the font size the more documents are available. By clicking on the tag it goes off and searches for all those documents with the tags. Users can also subscribe to a tag so when they log into their MySite they can see all the latest documents. We will look into this further when we look at MySites in a later post.